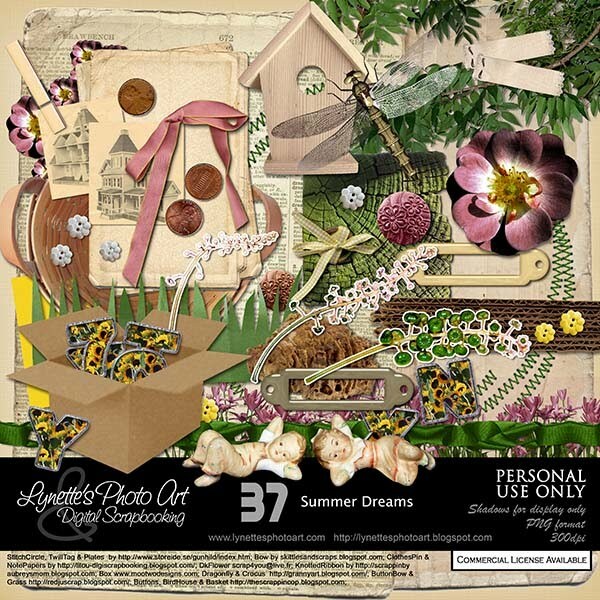 Summer Dreams has a relaxing feeling to it for scrapping all those lazy, happy days of summer! $4.99 at my PayPal store. Click image to enlarge. Click Buy It Now button below preview to purchase. Today I'm giving you a piece of this kit to sample - enjoy! If you download, please leave me a comment at the bottom of this post as I have disabled 4shared comments. This helps me to know what you like for the future and please support this blog by shopping my PayPal store. God bless you! Thank you! Your blog post will be advertised on the DigiFree Digital Scrapbooking Freebie search engine today (look for timestamp: 03 Aug [LA 07:00pm, NY 09:00pm] - 04 Aug [UK 02:00am, OZ 12:00pm] ). Thank you so much for this Freebie. I want to let you know that I posted a link to your blog in Creative Busy Hands Scrapbook Freebies Search List, under the Kit(s) post on Aug. 04, 2009. Thanks again. Very nice kit, thanks for the sample.